With over 30 years experience working within the customer service industry, we use our extensive knowledge and passion to help businesses develop the service skills of all employees and managers and thereby attract more customers and increase employee engagement. We provide a personal, bespoke training and coaching service, which maximises return on investment and a free 30 day Q&A support service is included with every programme. We use engaging and participatory learning tools that activate curiosity amongst participants and inspire a ‘Can do’ attitude. We don’t walk away to work with another Client, until you are 100% satisfied. I’m a very proud owner of Turner Corner Learning Solutions, which has been thriving since 2016. Since starting my training and coaching career 25 years ago, I have never wanted to do anything else. I get out of bed each morning with excitement about the day ahead. Why? Simply because I know my purpose is to help individuals at all levels, renew their passion for learning and develop the skills to achieve their potential. I absolutely know that each day will be rewarding. I also work with a small number of hand-picked associates, all highly skilled at facilitating a supportive and empowering learning environment. It’s fantastic to work with such a great team. I use my wealth of experience of working within Customer Service environments to design bespoke courses which focus on the skills required by all levels of employees and managers in today’s climate, where customers, quite rightly, expect an effortless and exceptional level of service. In addition to delivering memorable training programmes, I am also a qualified and experienced Coach. I use my skills to help embed the training delivery, in order to ensure a high return on investment for the Clients I work with. The team of trainers at Turner Corner Learning Solutions, work across the UK, designing and delivering Customer Service & Coaching skills training. I also love to share my extensive knowledge and experience within L&D to develop individuals who aspire to work towards a Trainer role, through my engaging ‘Train the Trainer’ programme. Alex provides transformational coaching and training programmes, including 1 – 3 day Coaching for Performance programmes (non-accredited skills-based courses for Managers). 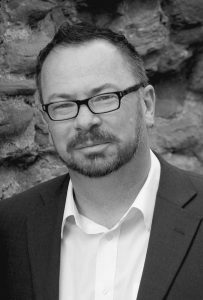 Alex draws from his own experiences of leading teams successfully, and a wealth of knowledge accrued over 25 years of public, private and third sector operational and management experience. Alex is a skilful coach, providing coaching services in person in both the UK and mainland Europe, and via Skype across Northern Europe. Alex undertook a number of key roles and secondments with the Welsh Government. Alex was the lead trainer for the Welsh Government Change Management training programme, delivering the Managing Change Successfully suite of courses to Public Service organisations. Alex works throughout Europe designing and delivering training events and workshops on a wide range of subjects including leadership, management and soft skills such as communication and building relationships. Alex regularly delivers Facilitation Skills courses. He facilitates Action Learning Sets, Team Building events and Senior Leadership off-site conferences. 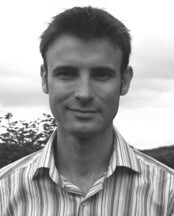 Alex is a trained Mediator, with over 15 years of practice experience, he has helped many individuals and organisations to overcome disputes & achieve sustainable solutions. Since 2001, Alex has lectured at Swansea University (College of Human & Health Science). His ongoing contribution was recognised in January 2014 when he was made an Honorary Lecturer. He currently teaches at under-graduate and post-graduate (BSc. and MSc.) levels. He also teaches at the Summer University. 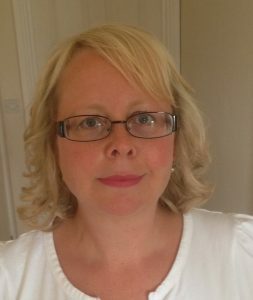 Nina specialises in creating purposeful learning solutions for organisational and people change, for business growth and customer engagement. 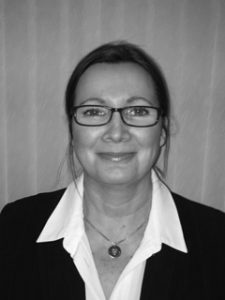 Nina draws on over 18 years’ experience in a broad range of diverse business sectors such as Loss Adjusting, Construction, Manufacturing, Rail, Road, Water, Energy, Local Authorities, Hospitality and Retail. Nina is experienced with coaching, mentoring, facilitating, assessing, verifying and quality management of formal qualifications. She develops and maintains strong working relationships with key stakeholders and decision makers in the full spectrum of business activity from FTSE 100 to SME’s; these relationships ensure that business strategies succeed and ensures employees feel “Valued, Supported and Engaged”. As a licensed Insights Discovery Practitioner, Nina uses a simple and accessible “four colour model” to understand an individual’s unique behavioural profile. Through such an understanding comes a deep insight into yourself and your colleagues, into your preferences and behaviour. Andy has dedicated his life to assisting others in learning and in improving their lives and has done so across a diverse range of people: from ‘lifers’ in prison, to CEOs of major companies. His ability to build rapport, communicate complex ideas and guide changes in behaviour is the foundation of his work as a facilitator. 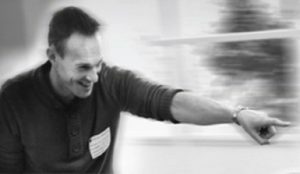 Andy is an expert facilitator and designer of drama-based and active learning, specialising in Equality, Diversity and Inclusion projects, Mental Health Awareness, Resilience and Mental Well-being at Work, particularly enjoying developing theoretical approaches to every piece of work. It is this commitment to a robust, intelligent approach, coupled with excellent interpersonal-skills that have enabled Andy to contribute to the learning and development success of many organisations within the Private and Public sector in Wales and across the UK. Mental Toughness MTQ48 Accredited Practitioner. TA101 – Introduction to Transactional Analysis. ISEB Accredited Project Management Tutor (First Tutor Status). ISEB Foundation in IS Project Management. Full member of the Association for Project Management (MAPM). Associate Certified Coach (ACC), International Coach Federation. Managing Successful Programmes Accredited Trainer. Managing Successful Programmes Advanced Practitioner. ICF Accredited Professional Coaching Skills Certificate.